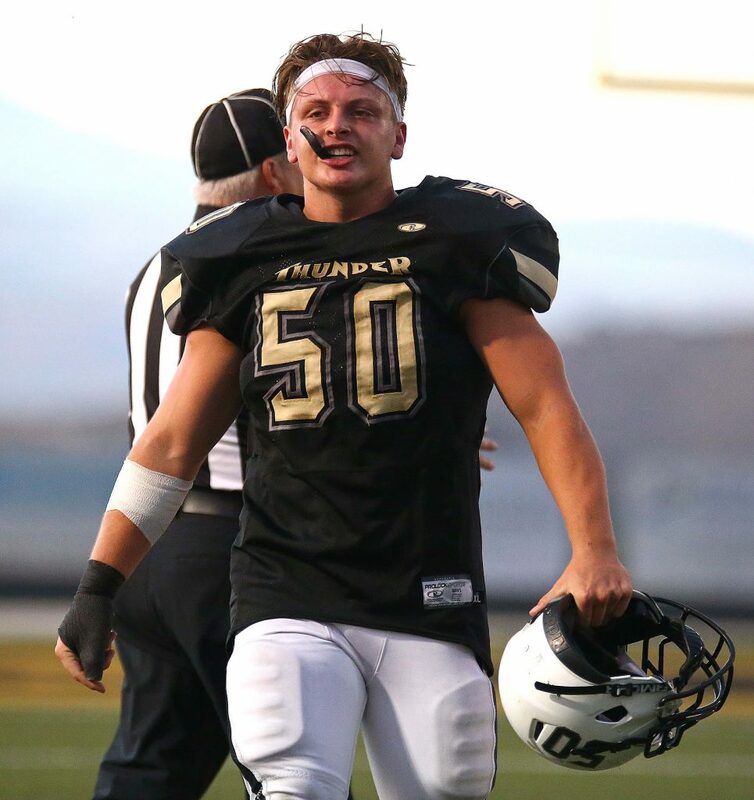 ST. GEORGE – In its two losses, Desert Hills had given up over 40 points per game, most recently against Mission Hills in California last week. 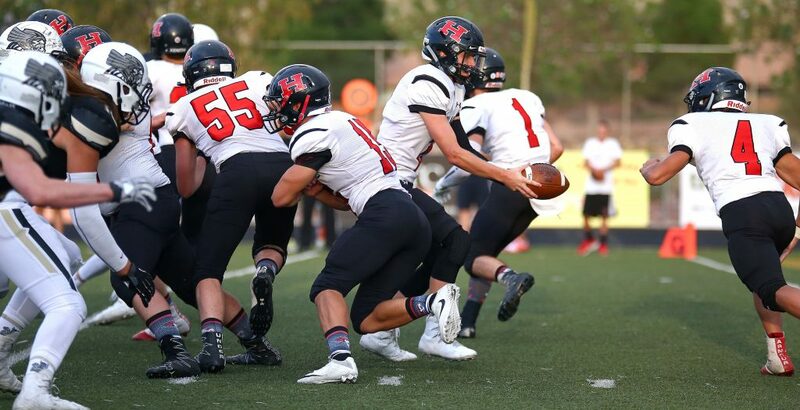 Against visiting Hurricane, the defense stepped up, held the Tigers to less than 100 yards total offense and kept them out of the end zone. 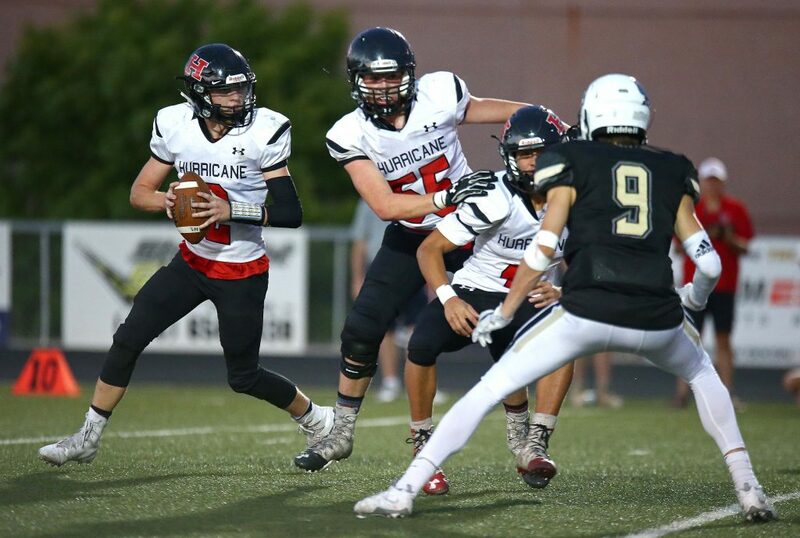 Hurricane escaped the shutout with a 22-yard field goal, but walked away with the region defeat, 28-3. The first half was miserable for the Hurricane offense as it could only muster 18 total yards. 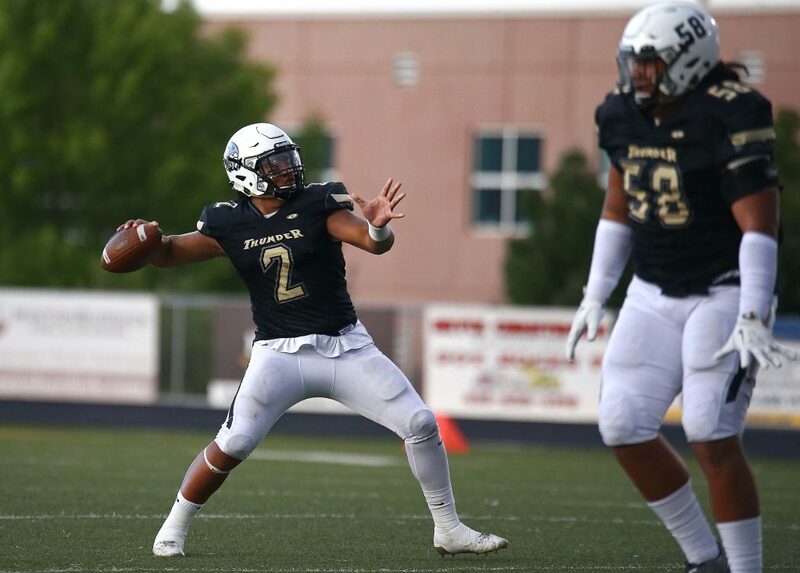 On the other side of the ball, the Tiger defense bent but did not break in the first quarter by blocking a Desert Hills field goal attempt midway through the quarter. But in the second quarter, the Thunder offense caught fire. On the Thunder’s first possession of the second quarter, they started at their own 36-yard line. 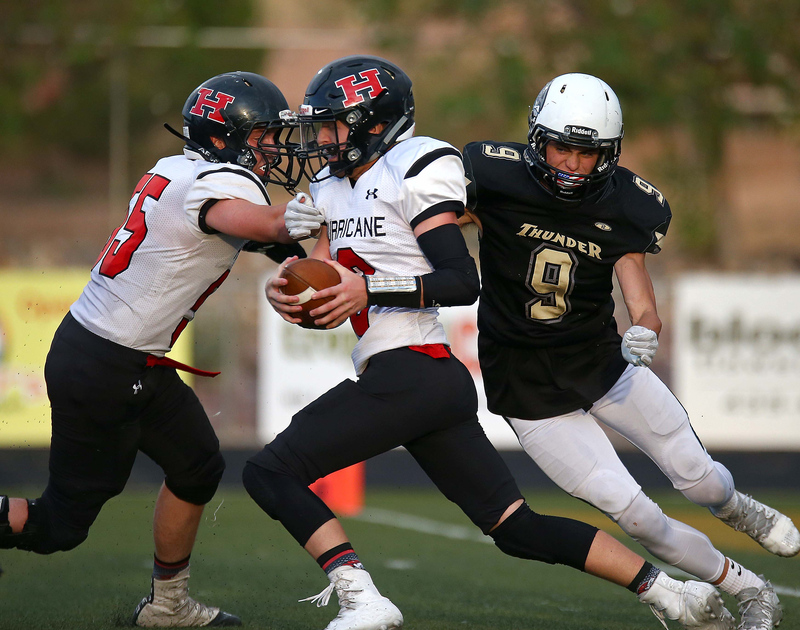 On the first play of the drive, quarterback Noah Sewell found Hayden Henrie on a slant across the middle. 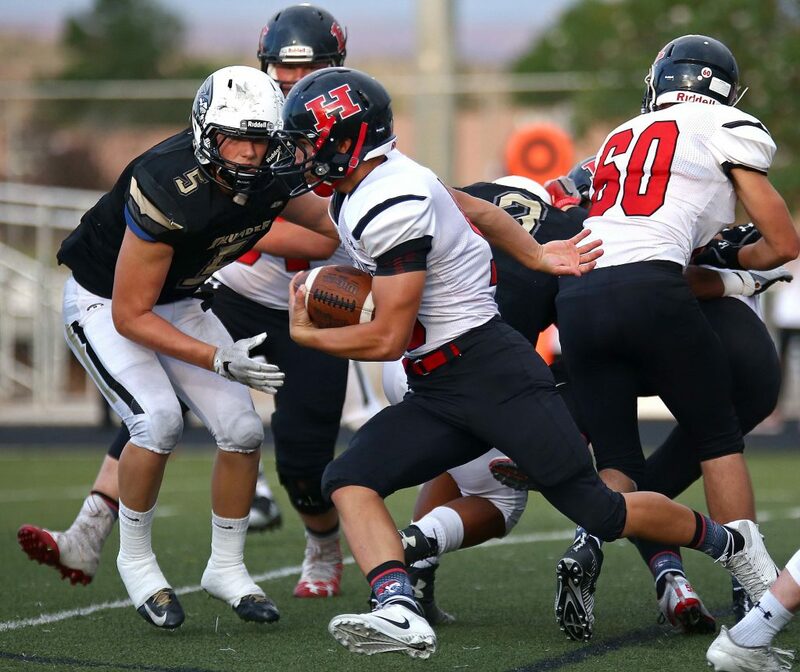 Henrie ran the ball 54 yards to the Tiger 10-yard line. Three plays later, Brock Parry ran in from 1-yard out for the 7-0 lead with 7:06 left in the half. 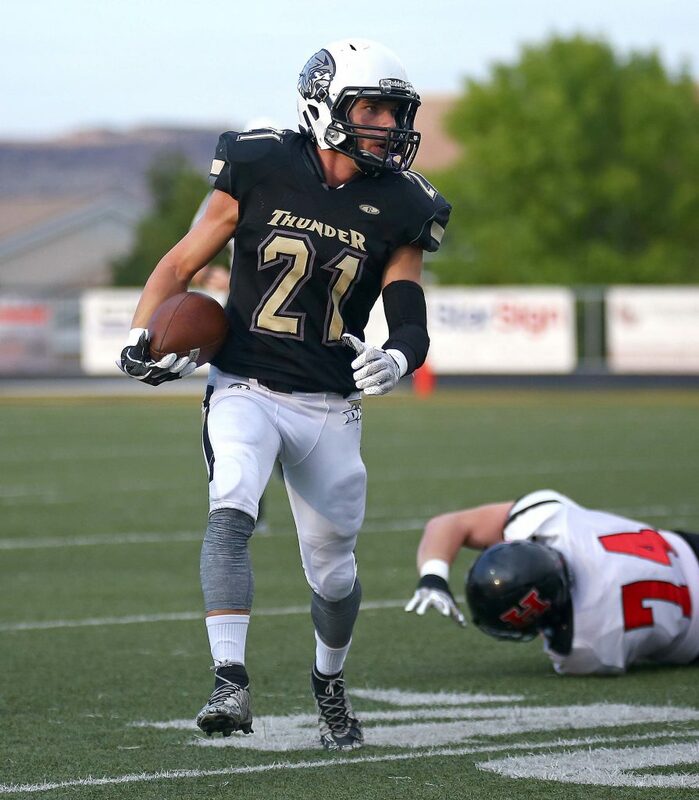 Desert Hills got a good punt return to set up its next score. 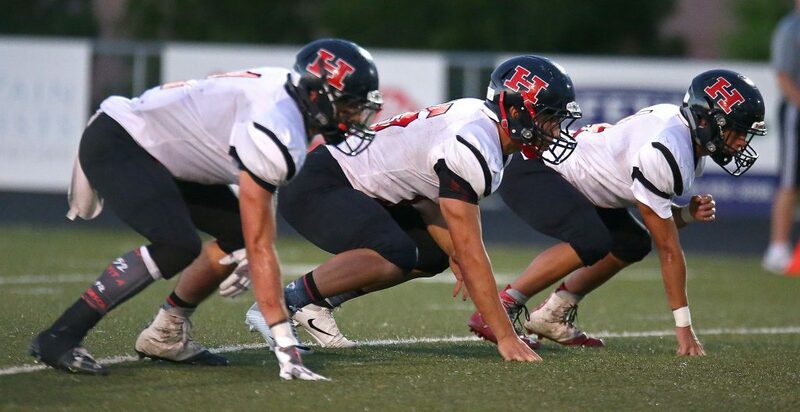 Gage Baird returned the ball 24 yards to the Tigers 16-yard line. Two plays later, Sewell pitched the ball to Parry. The ball went through Parry’s hands and hit his legs and bounced forward quickly 10 yards to the end zone. Parry was able to get to the ball first, however, and get on the ball for his second touchdown. 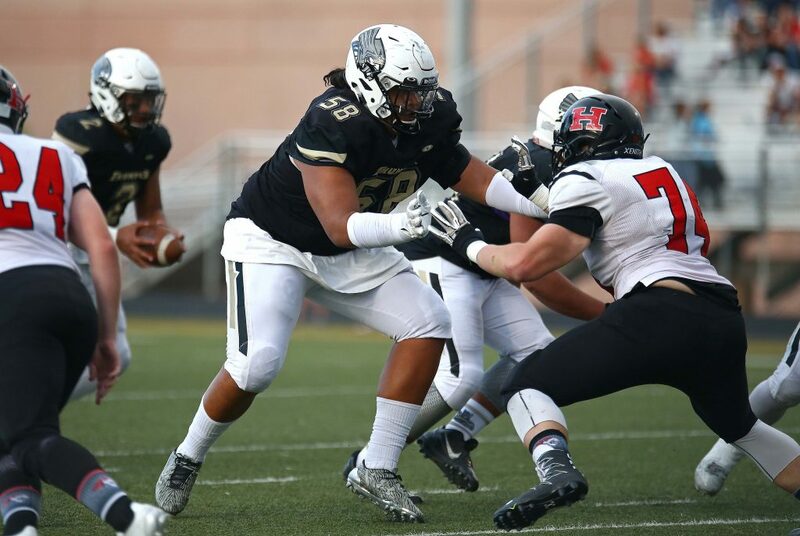 With 4:26 on the clock Desert Hills had a 14-0 lead. The Thunder defense held again on Hurricane’s next possession. Franke utilized his timeouts to ensure enough time on the clock for another scoring attempt. 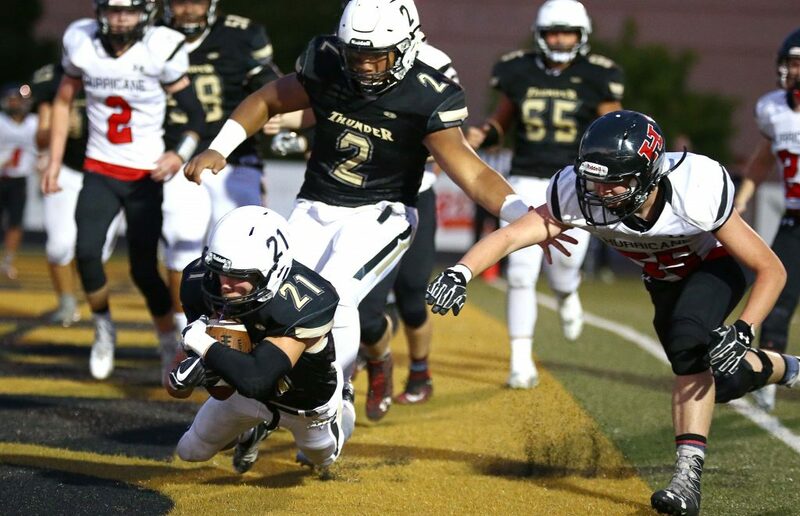 This time, however, the Tiger punt put Desert Hills far back at their own 31-yard line. But on the first play of the drive, Sewell rolled out to his right, then threw back to his left for a waiting Parry. 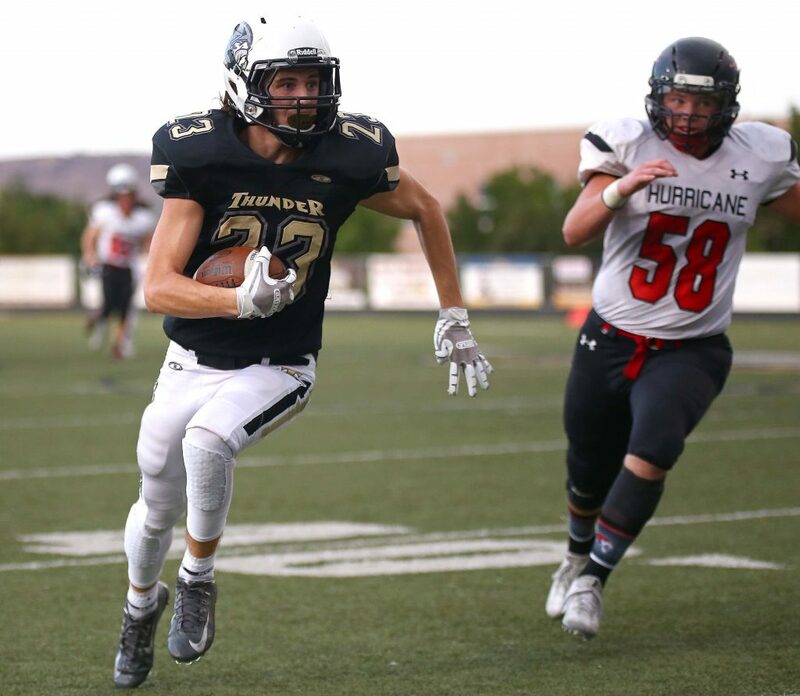 He went the full 69 yards to get the final score of the half and give the Thunder a 21-0 advantage. The third quarter ended as the first, with neither team scoring. On the Tigers second possession of the half, they got the ball with their best starting field position of the game. 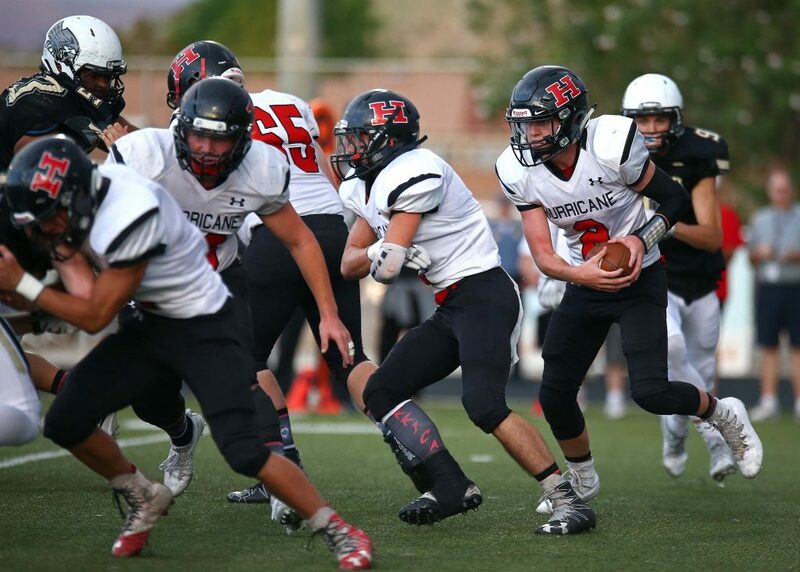 After the Thunder turned the ball over on downs, Hurricane began its drive at the Desert Hills 49-yard line. 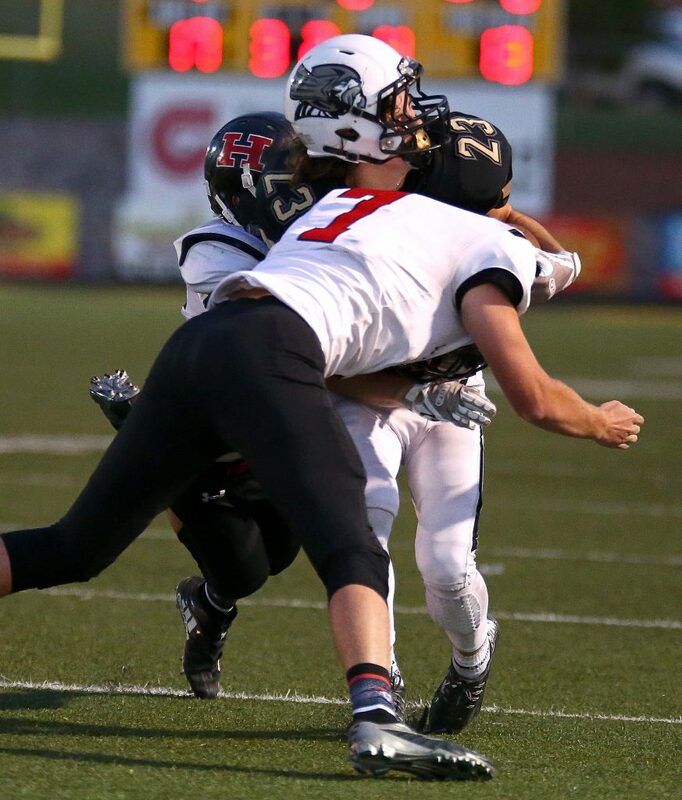 Tiger quarterback Adam Heyrend directed the team to the Thunder 12-yard line before it stalled. Ethan Roberts came in and put points on the board and cut the lead to 21-3 with 8:12 remaining in the game. The Thunder put an exclamation point on the win with its next series. 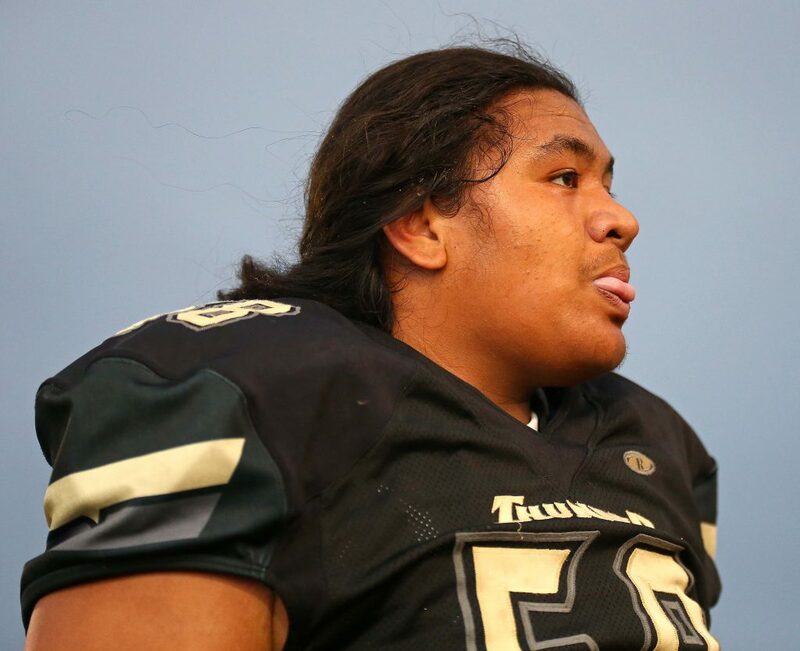 Starting at their own 35, the Thunder got chunks of yardage on Sewell keepers. The drive ended with a 30-yard hookup from Sewell to Tate Denos with 6:26 left in the game. Both teams emptied their benches shortly afterward and neither team threatened as the game winded down. 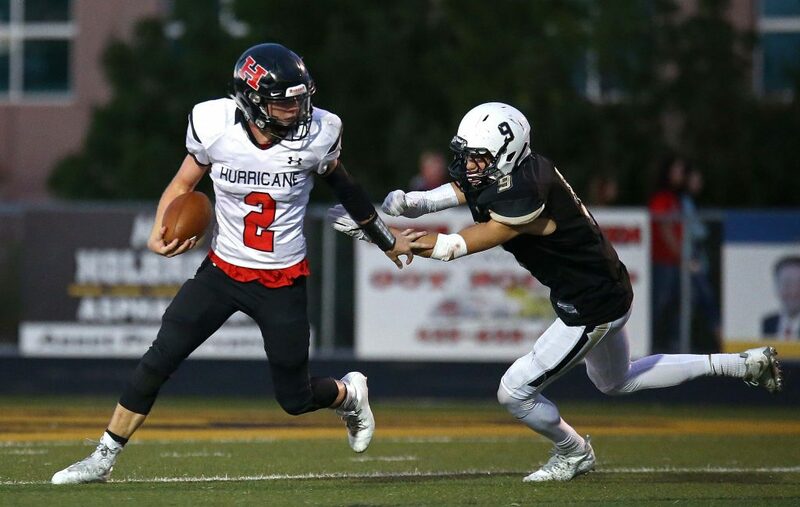 The Thunder outgained Hurricane 394-98 yards in total offense. One negative for the Thunder was penalties. Not only in number and yardage (10 penalties for 85 yards), but also because they came at costly times. Twice, touchdowns were called back on big plays due to a penalty. 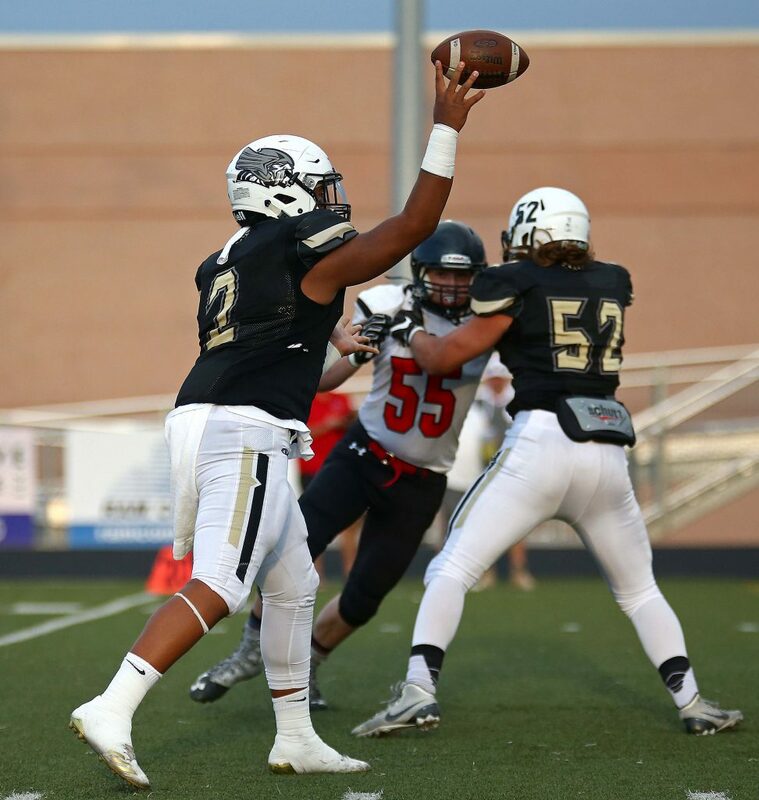 Individually for Desert Hills, Sewell completed 10 of 17 passes for 243 yards and two touchdowns. Sewell had plenty of time back in the pocket making his reads. Denos led the team with three catches for 42 yards. 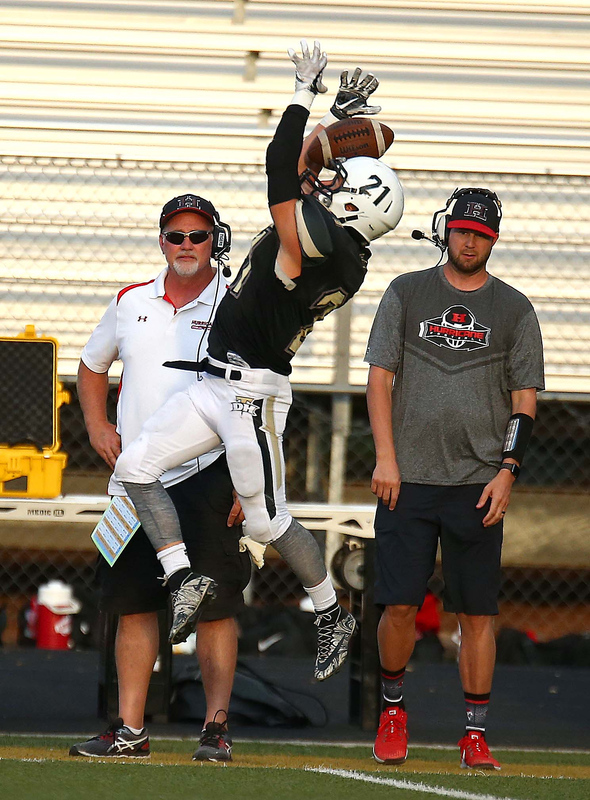 Parry and Henrie both had two catches for 74 and 59 yards, respectively. Parry led the team with 64 yards rushing on 13 attempts. 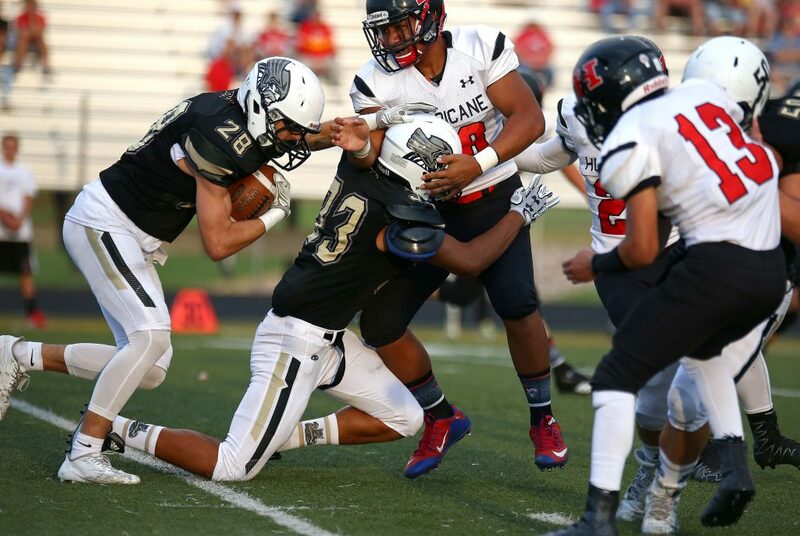 Hurricane’s Jaron Cordova led all players with 69 yards rushing on 18 carries. 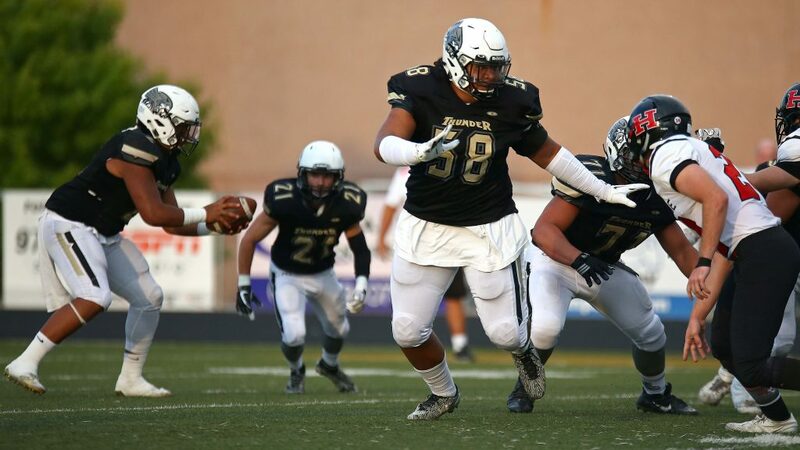 With the win, Desert Hills moves to 2-2 overall and to 1-0 in the region. Next week, the Thunder will travel to Cedar. 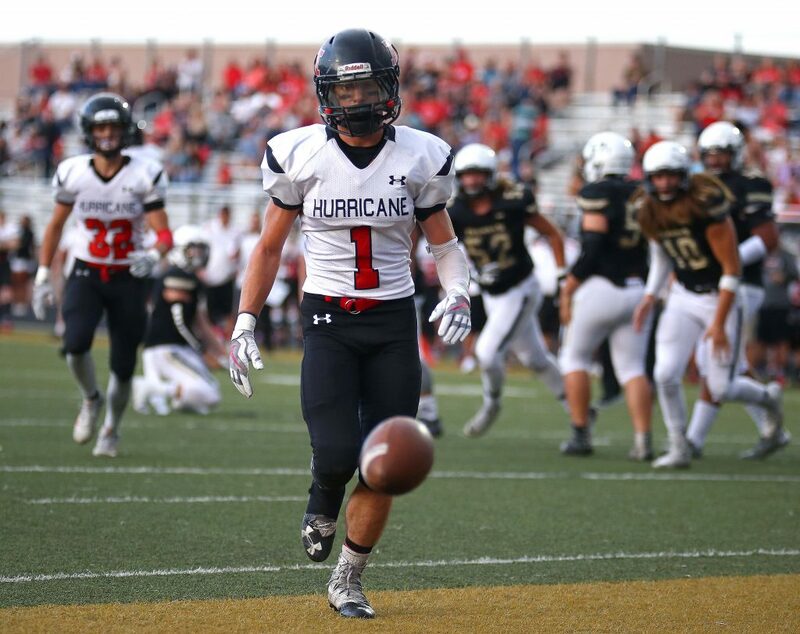 Hurricane has now dropped three straight after their opening-day win and are 0-1 in Region 9. Next week the Tigers will travel to Canyon View.